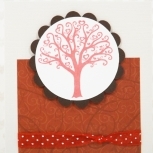 This hand made greeting card doubles as a gift card holder! 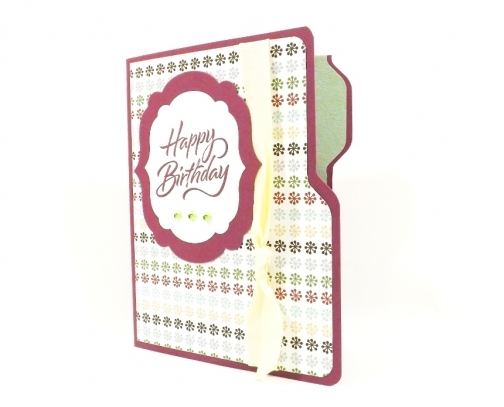 An exuberant "Happy Birthday" adorns the front of this file folder shaped card with three little green gems accenting it. Inside, the left has a border strip accent and the right (inside the front cover) has a space to hold a gift card. A thick yellow ribbon finishes off the front for some texture. 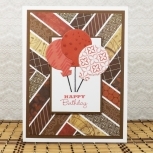 This birthday card measures 4.25 by 5.5 inches (roughly 10.75 by 14 cm) and comes with a white peel'nseal envelope. 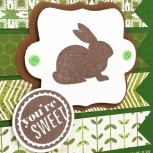 The inside is blank purple cardstock for you to write your own message. The back of this file folder card bears a shop label, signature and creation date.